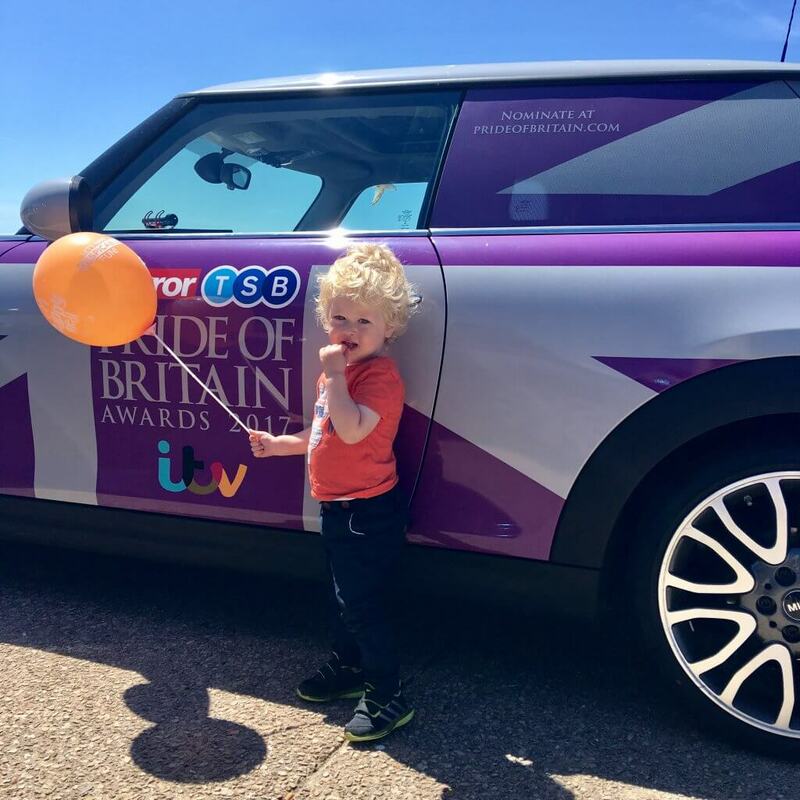 TSB partners with Trinity Mirror’s Pride of Britain, which is the only awards event in the UK honouring everyday unsung heroes. This event showcases a jaw-dropping act of incredible courage, such as a long battle against the odds or inspirational campaigning. The event is televised at the end of October. TSB has its own specific award on the night – the TSB Community Partner Award, which recognises and celebrates ordinary people who make amazing contributions to their local communities. TSB is proud to be part of a community where people help people and we all thrive together. And that’s why they have partnered with Pride of Britain and Pride of Sport because they celebrate and enable people doing that too. 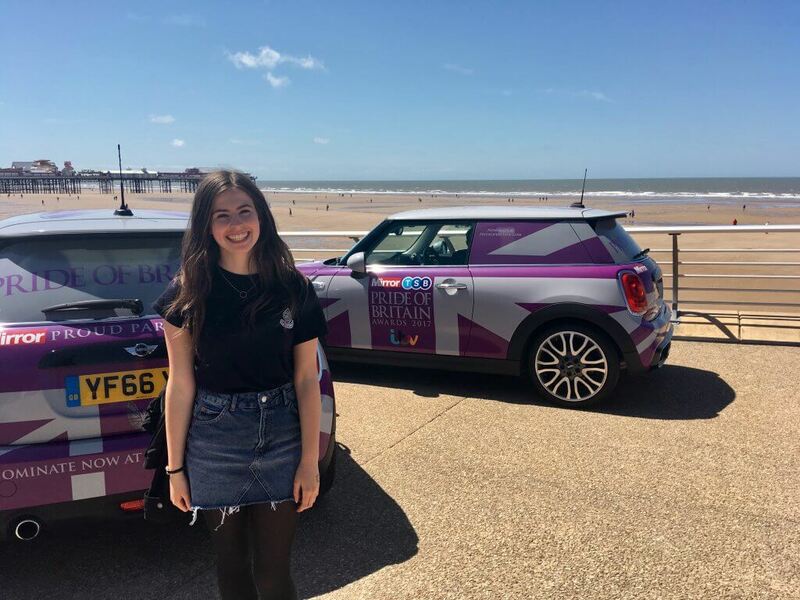 To celebrate the launch of the nominations, the Summer of Pride Tour will take place. 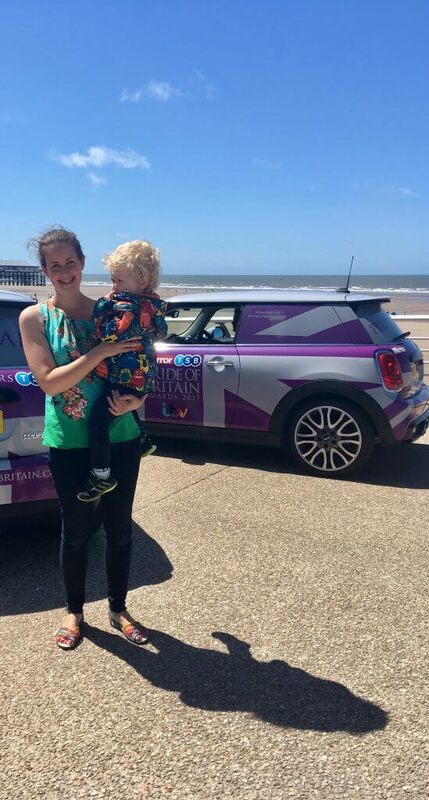 This involves a team of Minis whizzing around the country stopping at TSB branches and various landmarks along the way. It’s a call to get the public nominating someone they believe should be up for an award. TSB have asked me to think who I think deserves the TSB Community Partner Award in my local area. Straight away I thought of Pauline’s Angels. I have written about them before on here for their Christmas dinner and on Lancashire Tots. They started off with a mission to ensure no one in the Chorley area spends Christmas alone. They raised money throughout 2015 to hold a Christmas meal with entertainment on Christmas Day at Chorley Cricket Club. They also offered transport to and from the event. The party was for anyone that would be spending Christmas Day alone. Since the first Christmas dinner they have gone on to help the women’s refuge, local animal charities and help the homeless. They also help the Shaun Haggart Foundation based in Blackburn who do similar to what they have been doing within Chorley. They are going to be organising a fund raiser in October/November time ready for this Christmas. They have been lucky this year as a lady that they supported in a women’s refuge last Christmas was doing a degree at Runshaw College and they had to raise money for a local charity and they chose Pauline’s Angels. Therefore they haven’t needed to fundraise as much this year. They did do an Easter egg collection this year and managed to collect approximately 150 Easter eggs for children who might not have gotten any due to being in refuges or families on low incomes. This is a great way to recognise people who do good in society. I live near Runshaw college and we love to visit Blackpool. We must live close to each other. How nice to think about people who do good and deserve to be recognised for it. 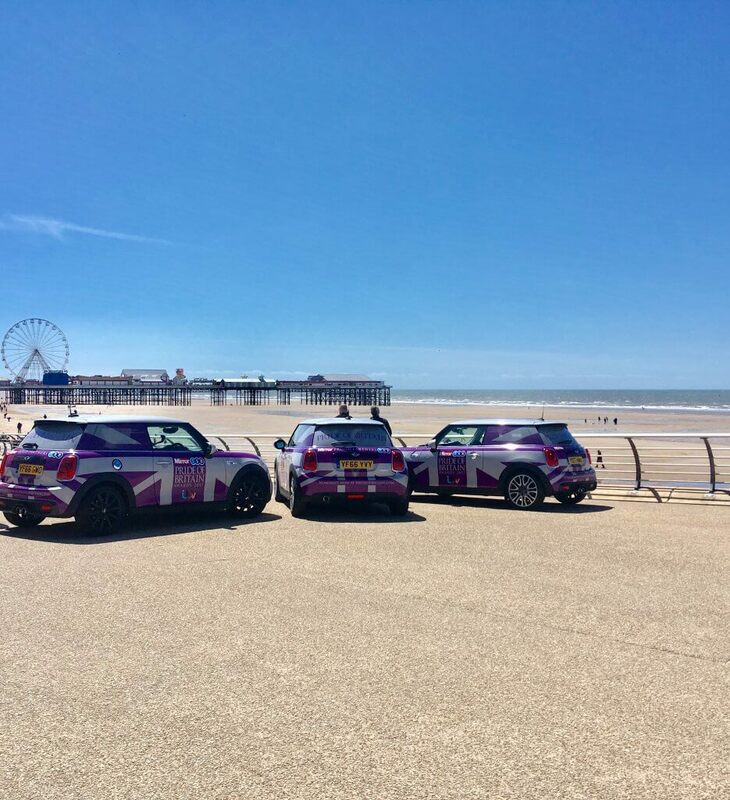 Looks like a lovely day to be in blackpool. What a lovely thing to celebrate. I’d love to visit Blackpool again soon! That is an amazing and a totally different thing to do! What a great idea, so nice for worthy people to recognition for their work! Good to know that there is a kind of event to commemorate hard works of ordinary people. I hope there will be more like this. Love this, what a great campaign! What a great idea to give recognition to people who do good deeds. Its a lovely campaign. This looks like a great day and what a fab way to appreciate those who deserve it. What an amazing charity, and I LOVE the minis!